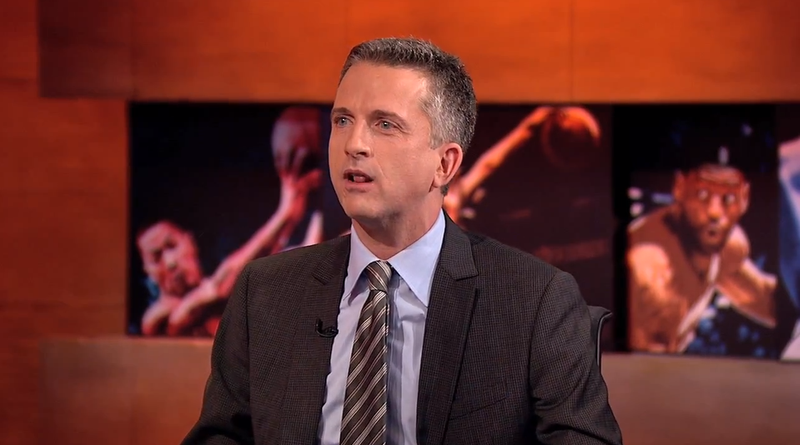 Apparently Bill Simmons is not beyond reproach. ESPN has suspended Simmons from Twitter for a few days after he called the Skip Bayless-Richard Sherman First Take meltdown last week awful and embarrassing. An ESPN source told me that the tweets violated ESPN's social media guidelines; Simmons was told to lie low for a few days. He hasn't tweeted since Tuesday Monday, and he'll apparently be allowed to return to Twitter tomorrow, making it a three-day hiatus. An ESPN spokesman declined comment, and Simmons didn't respond to an email. Here are two tweets that got him into trouble. "Nobody won," he wrote. "Everyone lost. Including ESPN." Big words, and the tweets felt like a flashpoint for a show that's used to withering criticism, but not from ESPN's own—and certainly not from Simmons, one of the most powerful guys at the network. But ESPN wouldn't be ESPN if it didn't punish a guy for being inconveniently correct. (Well, mostly. Sherman won. Bayless and First Take lost. Which means we won, too.) A few eagle-eyed readers emailed us to say that something seemed off. Simmons did not tweet out anything yesterday, nor did he tweet on Tuesday. Today, he was quiet again, except for a retweeted link from Grantland. This is not normal. He tweeted every single day in February, January, December, and November, skipping out on Twitter just once, on Feb. 7. SportsCenter could make a little graph showing just how prolific he is. Though Simmons has stayed off Twitter, he has certainly been keeping up with Facebook, posting about Wes Welker, a story he wrote, a blog post written about him, and a video of his dog. Simmons was expected to make a trip out to New York this week for a sort of Grantland East brainstorming session, but he backed out over the weekend, we're told. He also didn't appear on NBA Countdown last night, though that was apparently previously scheduled. Simmons has run into trouble with ESPN's Twitter police before. In 2009, he called a Boston Radio network—and an ESPN Radio affiliate—"deceitful scumbags" on Twitter, and he got a two week suspension from using it. He was on the tail end of a book tour then, so he was still "allowed" to tweet about the book, just as he was apparently allowed to retweet a Grantland link today. Know more? Email me.